IS YOUR HOUSE WARM ENOUGH THIS WINTER? The past month the weather has been absolutely freezing hasn’t it!. We have had snow over the last few weeks and temperatures of -6! Although the girls love playing in the snow , coming in to a bit so warm house isn’t fun at all!. 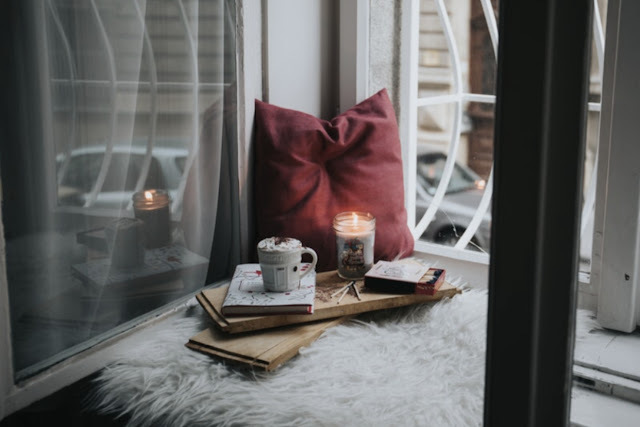 Although we would love to have our gas central heating on all day and night , that just isn’t budget friendly at all is it and there are many ways to keep your home warm this winter without breaking the bank. Block The Draft - there is always draft coming from somewhere isn’t there?. We tend to get a draft coming from the front door and drafts are easy to avoid with the simplest of things . Draft excluders are my favourite!. They are really cheap to buy and also really inexpensive to make!. We’ve made them from old tights and stuffing for along the doors and they work so well. They are perfect for blocking any draft coming from the doors. Curtains- your probably thinking curtains? , but I know that blinds have been so popular over the last few years that no one actually has curtains anymore and this is where a lot of your heat actually goes. Having curtains as well as blinds helps keep all the heat and warmth in the room. Central Heating - I know most homes have central heating but you would be surprised how many still don’t , especially rented homes. Our last home we lived in actually had storage heaters! I can tell you there was no getting that house warm in anyway at all. We use to joke and say it was colder inside than outside! They were also extremely expensive to run! Our house takes such a long time to warm up. Thanks for the tip about stuffing the tights. Great tips, our old house had a problem with damp which meant it never really warmed up properly! I definitely agree with the draft excluders, they keep out so much of the cold from our front porch and as you said are really budget friendly too! I love your tips. It has been so cold here in the last few days. Some fab tips - I could really do with using draft excluders - and I know we'd benefit from more wind protection around our front door. We've considered getting a porch put in - just gotta save the money! ARE YOUR CAR TYRES ROAD WORTHY? IS YOUR GARDEN SUMMER READY? IS YOUR CAR MOT READY? 4 TOP TIPS TO MAKE YOUR HOUSE MOVE STRESS FREE! PYJAMA DAYS ARE THE BEST!